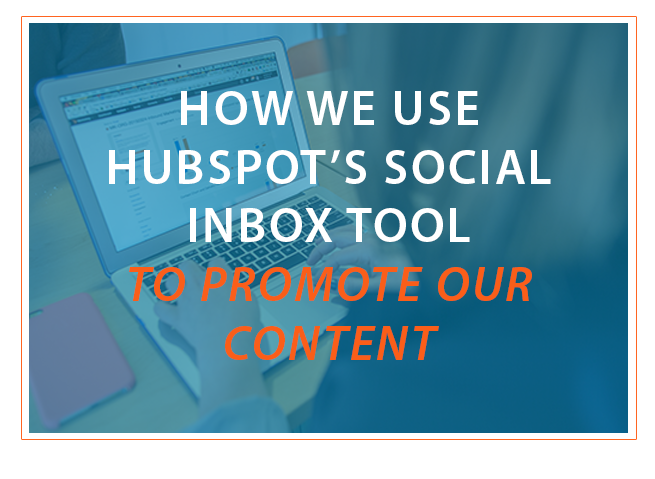 The HubSpot Social Inbox tool is fantastic. We love it because it puts the top social media platforms in one place, and allows us to not only compose and schedule messages, but monitor and participate in conversations happening in social media. The time saved from using Social Inbox makes it easier for us to focus on our social media strategy rather than the technical process of every post we’re creating. If you don’t know how to use Social Inbox to promote your own content, let us walk you through our basic process and strategic mindset for Social Inbox. Since there’s nothing in HubSpot actually labeled “Social Inbox,” it’s important to start from the right place. If you haven’t seen HubSpot’s Social Inbox before, simply visit the “Social” tab at the top of your HubSpot interface, then click the “Inbox” drop-down. This section of the Hubspot software is what we all call the Social Inbox, and it’s where we will be working from. Next, you will want to compose your first message. 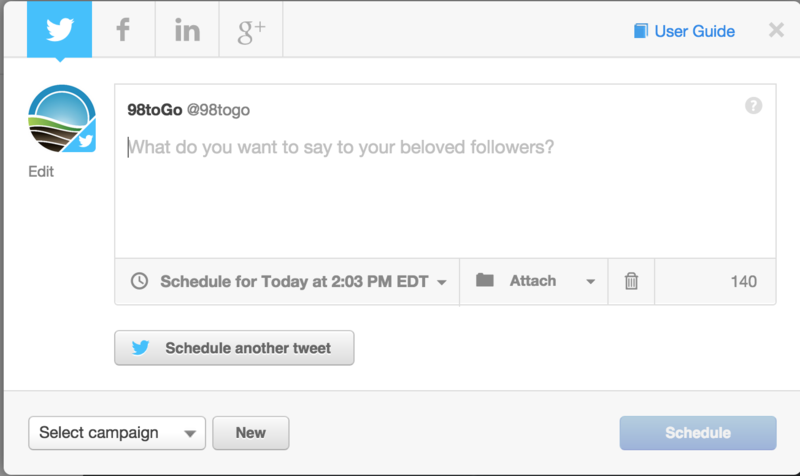 The “Compose a message” button is in the top-right corner of the Social Inbox. You must link your social media platforms to Social Inbox. The system will walk you through logging in, using an account with saved information in your browser, or visiting the social media site to create a new account. 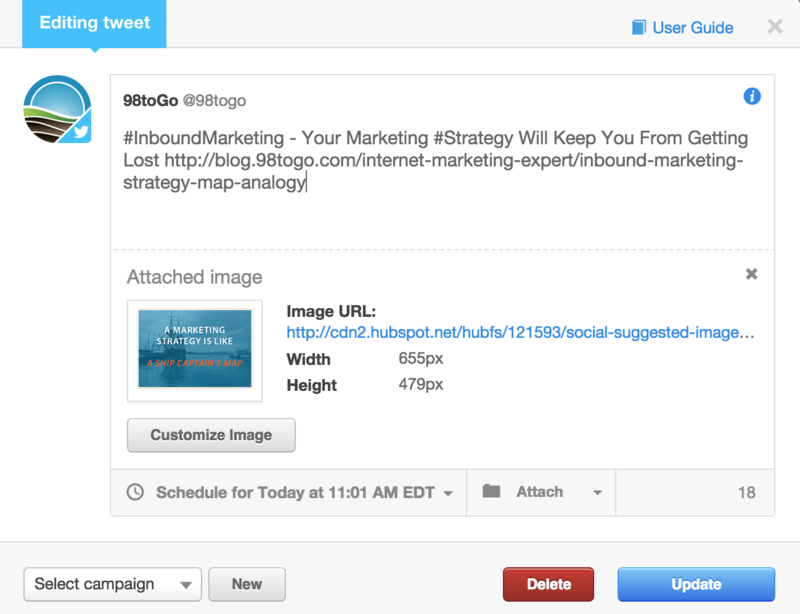 HubSpot made sure that their Social Inbox is well integrated. There is no loss in quality or flexibility between Social Inbox and the original social media platform that Social Inbox is leveraging. Social Inbox is scaleable. You may see options and menus you don’t understand, but many of those are for advanced users. Stay confident in the basics, and save that other stuff for later. The basic rule is to enter in the same content that you would use on the other social media platforms. The absolute best practice is to use the same conventions as those social media sites when operating through the HubSpot Social Inbox tool. When sharing to Facebook, try to use 1 to 4 sentences with you post. LinkedIn posts should include thought-provoking questions and statements that promote dialogue. Attach a blog, link, picture, or content offering that you are trying to promote with the post. You want to make sure that if people follow your content, they will end up with a call to action or a next step to continue engaging your company. Next, schedule a date and time for the post. The Social Inbox messaging tool will default some of these options if you do not make your own choice. For example, Social Inbox will naturally spread out your posts over time, choosing not to place the same medium’s posts within a short period unless you do so deliberately. The “schedule another …” button near the bottom-left of the message window allows you to simply open an identical window below the first to create more than one most simultaneously. Use it as many times as you like to schedule all your posts at once. For media with character limits, such as Twitter, Social Inbox will guide you on those limits. For example, not every character in a tweet is counted in Twitter, and that is reflected in Social Inbox. Trust your tools. When you’re done, simply press “schedule” in the bottom-right corner of the message window. When we publish something new like a blog post, we want to make sure that people get to see it. Here is the list of things we do through Social Inbox. Make sure to use a thumbnail image for the posts. Facebook and Google+ posts have a long lifespan. Use a few sentences in the post to attract readers to your blog. Pick 15 LinkedIn groups to follow that are in your industry. Share the same content only once per group through LinkedIn to avoid spamming others. Under the tab marked “Published,” you can actually see feedback such as the number of interactions and clicks on your previous posts. Seeing the message detail is fantastic for really getting the most mileage out of a post. You can see more performance stats, such as the number of retweets. There is an option to go view the actual post on the social media platform you published with. Some social media platforms even offer extended options just as you would get on the native platform. For example, you can click follow people on Twitter if their name is mentioned under the message detail. Looking for more HubSpot advice and tips! Grab our free guide The Ultimate DIY Guide To HubSpot to learn how to effectively and efficiently manage your inbound marketing with HubSpot to get the best return on your investment.